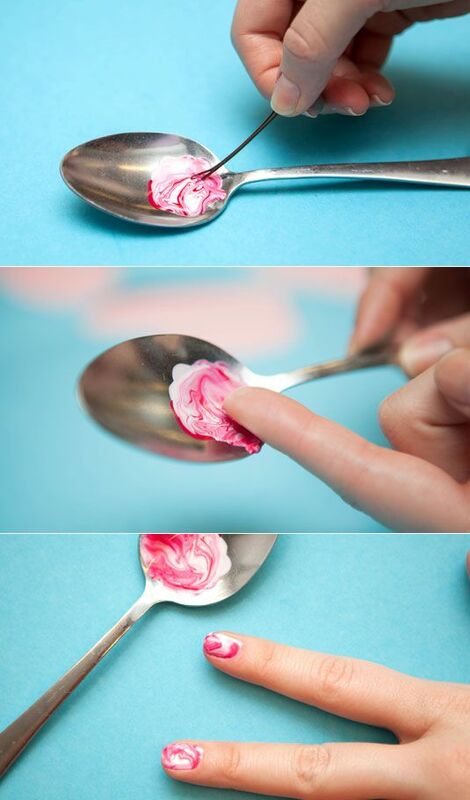 Take a look at 18 amazing nail art designs that can be easily tried at home. Ladies! Add a dash of colors and decorate your nails in style! I love doing nail art at home. It saves me trips to the nail art parlors and comes out to be economical too. The best part about doing nail art is that it helps unleash the creativity brimming inside your heart and soul. Besides, whether it is a formal event at home or a party to attend to, beautiful nails can just complete the overall look as it defines your personality and beautifies the hands too! 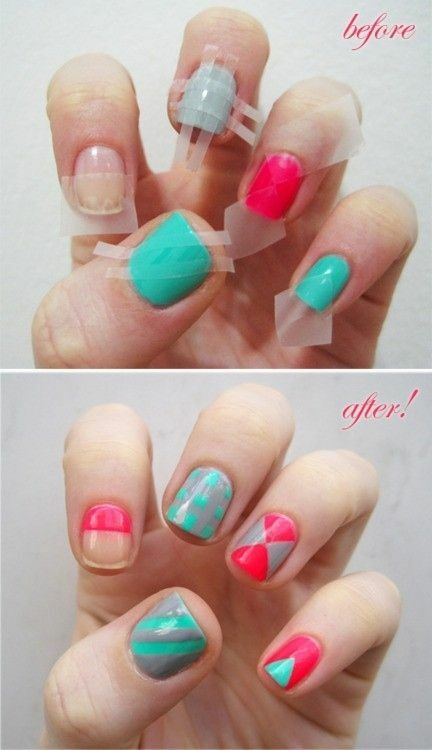 So, take a look at 18 awesome DIY nail art designs that can be easily done at home. The designs I am going to talk about today are not-too-complicated, require home-based tools and are a lot more fun. Alright! So, most of us usually opt for nail colors (and art designs) that tend to complement the outfit we decide to wear for the special occasion. For a nail art design to pop, choose for matching or contrast colors. For instance, if you are wearing a pink Pakistani salwar kameez with golden embroidery, then we recommend you go for a pink base color and gold glitter-based French-tips. Moreover, you can choose to do your own nail art and embellish it with rhinestones, glitter or other jewels to give a heavy, more upscale look. It really depends on the outfit that you are wearing and the occasion for which you are giving yourself a manicure in the first place. The main thing to remember is to have fun and play with it. Don’t be afraid to experiment. Really! From perfect geometrical patterns to drawing cartoon characters to making red heart, the execution probably involves something as simple as cut-up scotch tape. The images below are self-explanatory and you don’t have to actually stick to the exact designs. You can get your ideas from these and create your own design. So, then, whether it is a simple black diagonal on a white base coat or a plaid neck or just about sunburst nails, you can do a lot with your nails and that too while sitting at home. Then there are tiny stripes, dots that you can make with hair pins, apply nail stickers or go zig-zag with the scotch tapes, it is all about trying out something different, something unique that stands out from the regular solid nail colors. There certainly are a number of designs you can create yourself. Try dual-tones, checkered patterns, blended colors, marbling or stamping to create a gorgeous effect. They can be slightly difficult to achieve but a little bit of practice can help you achieve the perfect look.